Pinot Blanc is a white-wine grape probably originating in Burgundy, as either a mutation of or a cross with Pinot Noir. Nowadays it is grown in many parts of the wine-making world, notably in the Alsace region of France, as well as Austria, Germany, Italy, and countries near those; the Pacific states of the U.S. also now grow some serious Pinot Blanc. Not a few critics feel that Austrian "Weissburgunder" may be the best expression of Pinot Blanc, though Oregon gets some votes, too. The grape is probably best described as "serviceable" rather than outstanding, though in a few cases it can excel. To quote Jancis Robinson, "The main characteristic of wines made from Pinot Blanc (and Auxerrois) is a certain roundness of flavour, verging on apparent sweetness sometimes because the acidity is relatively low. They are gently rather than demandingly appealing, having even fewer distinguishing marks than Chardonnay, and generally rather less body. This means that yields have to be really quite low before a Pinot Blanc can stand up to barrel ageing. These are wines to be drunk young while such acidity as there is is most obvious." 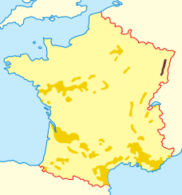 Wikipedia's article refers to Pinot Blancs as "full-bodied", and further states that "The most full-bodied 'Pinot blanc' wines from Alsace, with a spicy and smokey character and moderate acidity, are probably dominated by Auxerrois grapes." Pinot Blanc is sometimes described as a poor man's Chardonnay, which may be unduly harsh, but which conveys something of the grape and its wines. Vineyard and vinification techniques can, however, make some real differences, and an Alsatian monovarietal Pinot Blanc and an Oregon bottling will probably not be that much alike. 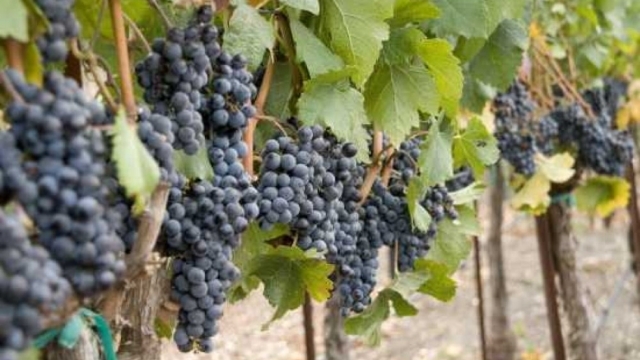 Factoid: In the United States, grape vines long thought to be Pinot Blanc, and so marketed, turned out to be Melon de Bourgogne (the grape of French Muscadet wines), which is actually a better grape. Most or all have now been correctly identified and the wines appropriately labelled. "Bottles labeled Pinot Blanc offer fruity aromas, often of apple, citrus fruit, and floral characteristics. Bottles that are varietally pure, although more difficult to find, provide stronger floral characteristics, stone fruits and a headier minerality. Regardless of their exact composition, most wines under the label 'Pinot Blanc' are rather high in acidity and are vinified in tank, though more prestigious examples are fermented in large, 100% used oak barrels. Pinot blanc wines are usually made for immediate consumption and seldom meant for [cellaring]." "Typically a medium-dry to dry white wine originally from the Alsace region of France (known as Pinot Blanc in France and Pinot Bianco in Italy). Generally oak is not used in the maturation process of Pinot Blanc. Pinot Blanc is a lighter flavored white wine with citrus, melon, pear, apricot and perhaps smokey or mineral undertones combined with characteristic high acidity." "The French versions, from Alsace, are musky and creamy-textured; those from Italy have zippier acidity, with pear or even soft citrus flavors. 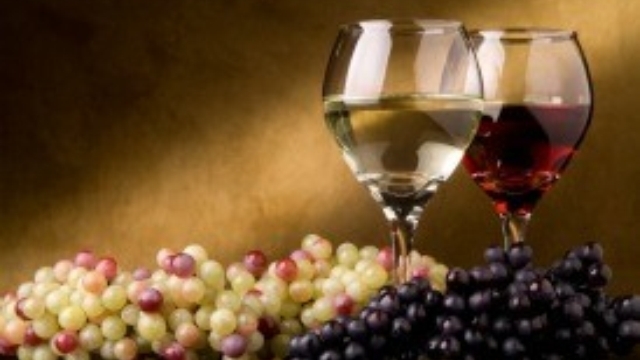 American Pinot Blancs are usually made in the French style, as the name suggests." "Pinot Blanc is often regarded as Chardonnay’s understudy; like Chardonnay it produces a similar medium to full-bodied style of wine with good acidity, and responds well to oak maturation. In Alsace, still wines made from Pinot Blanc are typified by almond aromas, with a hint of spice. On the palate they show a range of apple flavors, usually at the floury and creamy end of the spectrum. They may display some light mineral characteristics, but these are generally muted by the oak treatment favoured in the region. . . In north-eastern Italy, Pinot Blanc is known as Pinot Bianco and produced as a crisp, dry wine that is much lighter in body than its French counterpart. 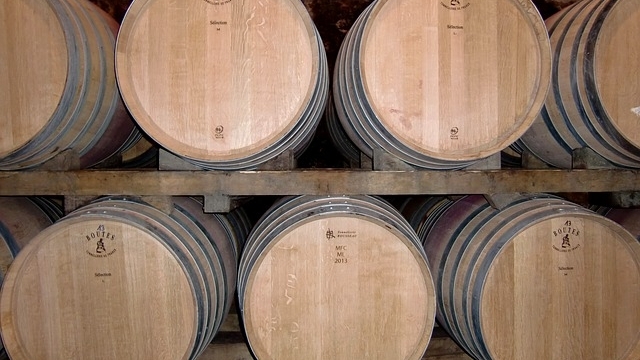 The Italians rarely use oak in the production of the bulk of their Pinot Bianco, though some of the better producers use barrel maturation in their blended Pinot Bianco wines. Varietal Pinot Bianco wines are much less common in Italy than in other parts of the world. In Austria and Germany, Pinot Blanc is known as Weissburgunder. Weissburgunder arrived in Austria in the 19th Century where it is grown extensively in the northeast, where it appears more frequently in geographically labeled blends than as varietal wine. . Pinot Blanc is now commercially produced in the United States, Canada, Argentina and Uruguay. Alcohol levels in these wines tend to be medium-high, with good acidity giving the wine a slightly sour, tart, edge." "Today, Pinot Gris is more fashionable than Pinot Blanc almost everywhere, perhaps because it is more perfumed, fuller-bodied and distinctive. But for easy, good-value drinking in a style that is likely to offend no-one, I often find myself recommending a good quality Alsace Pinot Blanc . . . as a choice for a large party of drinkers without a particular interest in wine." "On the plus side, a good Pinot Blanc has a lot going for it. Light- to medium-bodied, with aromas and flavors that are subtle but satisfying, these wines are supremely versatile with food and unlikely to rub anyone the wrong way. Pinot Gris can be too rich and sweet for some tasters; Gewurztraminer too pungent, and Riesling too sharp and austere. But throw a really good Pinot Blanc into a circle of otherwise opinionated tasters and you'll find that everyone gets along with it. On the minus side, Pinot Blanc can't compete with the more complex character of Riesling, Pinot Gris or Gewurztraminer, and in relative terms it can't sell for as high a price." "Tasting several dozen [Oregon] Pinot Blancs from the 2011 and 2012 vintage, some general characteristics emerge. The best open with a whiff of honeysuckle, citrus—often grapefruit—and green apple, and have vivid acidity. There may be hints of white pepper or almond. Generally, they’re fermented entirely in stainless steel, and the alcohol levels range from 12–13%. Estate-grown and single-vineyard examples are often higher quality than those made from purchased grapes or blended versions. 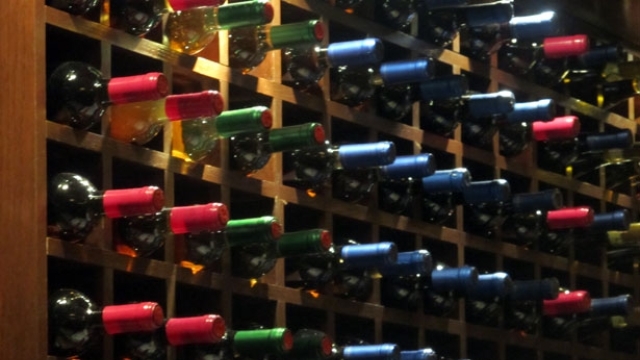 Drink these wines cool, but not so cold as to kill the aromatics or deaden the finish." "But at its best, with grapes from low-yielding vines, Pinot Blanc can produce exciting values: creamy, medium bodied wines, with honey-like aromas and flavors. . . the fact that we are most familiar with the grape as Pinot Blanc is a dead tip-off that the best examples of the grape come from France. In France, Pinot Blanc is most notably grown in Alsace, where it is either bottled on its own, used as a major component in the sparkling wine Cremant D'Alsace, or blended with other varieties in the region's traditional wine, Edelzwicker. We don't see much Edelzwicker, since the export market for this wine is virtually non-existent. But we're happy that we can get a decent amount of single-varietal Pinot Blanc from Alsace; the wine is made in some form by almost every Alsatian winery. These can be rich, sometimes tropical, smoky wines that are low in acidity. . . In the U.S., some California vintners are producing Pinot Blanc with the same techniques used to make expensive Chardonnay, including new oak and malolactic fermentation. We're not convinced that this is the best way to showcase the grape, and lean more towards the wines being made in Oregon. Here, vinification techniques more closely follow the model established in Alsace, with fermentation in stainless steel or older oak leading to wines that are rich and smoky." "I’m not claiming greatness or profundity for pinot blanc. I am saying that from the right place and in the right hands, pinot blanc can make distinctive, delicious wines that deliver much pleasure. I’ll always have a place for a wine like that, no matter how plain, mild-mannered or nondescript it may appear." "All pinot blanc clones are characteristically high in acid and low in aromatic intensity, making it desirable as a sparkling wine component. The smell of pinot blanc, in fact, is very light indeed, non-distinct, and nearly neutral; this seems to increase the aroma influence of terroir and vinification. Pinot Blanc wines are balanced with high acid and can be full-bodied. Some California winemakers have fairly good results applying the same techniques to Pinot Blanc (if indeed this is the grape they are getting) that they might to Chardonnay: barrel fermentation, lees stirring, full malolactic, etc." "The thing is, when you boil down Pinot Blanc to its essence, it actually is a grape with an amazing amount of virtue. . The drier wines–produced in the typical Alsatian style with colder, slower fermentations in stainless steel tanks with little to no oak in the aging–often have a spiciness and smokiness to them along with a crisp, bright acidity that makes them perfect wines to pair with food. They are gorgeous and blonde and have quite a bit of depth to them, natural depth, not artificially created in barrels or with chemicals." We wanted to include specimens from all around, but the better-rated European types turn out to be blends—sometimes with the "Pinot Blanc" of their name actually being a minority grape in the blend (that dervies from the insanity that is European wine laws). So, to keep to bottlings both highly rated and also mainly or wholly actual Pinot Blanc, we ended up with a rather short(but, we think, excellent) list, all from the Pacific Northwest (in fact, all from the Willamette Valley). ♦ This outstanding effort offers a vanilla wrap around solid fruit flavors of white peach, yellow plum and nectarine. The texture and detail are delightful, as the wine generously fills in the finish with a hint of marzipan. 92 points, Editors' Choice. ♦ When I tasted this 2014 Ponzi Pinot Blanc blind, my impression of it grew more and more favorable. The aroma was reticent at first, but it opened into a complex nose of delicate citrus fruit, ripe stone fruits, honey and blossom. In my mouth, the energy of high acidity was immediately evident, followed by considerable richness of texture and pronounced, ripe, luscious flavors of fruits and earthiness -- peach, nectarine, and lemon with a tangy slate-like note. The wine has weight and presence, suggesting impressive ripeness, and yet its savory mineral notes and acid edginess keep the taste fresh and lively. ♦ A high acid, all-stainless rendering of the grape, this vintage is entirely sourced from the Aurora vineyard in the Chehalem Mountains, though the label simply reads Willamette Valley. It's a subtle wine with a pleasant citrus character, a touch of celery, a streak of mineral, and a lingering finish with a hint of shortbread. 90 points. ♦ This almost clear colored Pinot Blanc from Oregon was very popular with the Tasting Panel. It opens with a faint lime bouquet with floral hints and a touch of anise. On the palate, this wine is medium bodied, balanced, and approachable. The flavor profile is a mild green apple that is nicely blended with lemon, minerality, green tea and ginger ale. The panel thought it was a pretty complex white wine. The finish is dry and its flavors linger nicely. If you have never tried Pinot Blanc, this would be a good one to start with. 92.6 points. ♦ Needs more time in the bottle, but when this Oregon white is ready in a couple of months, it should be classic, elegant Oregon pinot gris — fresh tropical fruit, rich mouth feel, and long finish. ♦ The winery’s most successful wine that is widely distributed and turns up on “Top Wine” lists year after year…Very light golden yellow color in the glass. Lovely aromas of apple, pear and floral notes. Slightly creamy on the palate, with fresh flavors of apple and honey. A quintessential Oregon Pinot Gris that offers a lip-smacking finish. Very easy to like. 90 points..
♦ Adam Campbell earns our top rating for the second consecutive vintage on behalf of this lesser-appreciated and modest grape from Burgundy…[it] opens with alluring aromas of Asian pear, Golden Delicious apple, white peach, currant blossom and dried apricot. The entry is round with juicy pineapple and papaya before its bursts with flavors that hint at Granny Smith apple, fresh-cut celery and gooseberry. It’s complex, clean and beautifully balanced…one of the Pacific Northwest’s best expressions with this variety. Rating: Outstanding! ♦ This almost clear colored Pinot Blanc from Elk Cove is very good. It opens with a fragrant and appealing chamomile tea and honey bouquet with hints of rose and pear. On the palate, this wine is medium bodied, slightly acidic and fresh. The flavor profile is a flinty mineral infused green apple with notes of white pepper and Anjou pear. We also detected a hint of honeydew melon and pineapple. The finish is dry and nicely prolonged. 89.3 points. ♦ Vintage after vintage, Adam Campbell consistently crafts one of the best Pinot Gris in the Pacific Northwest, and this is no exception. It opens with aromas of stone fruit, lemon, lychee and spearmint, followed by lively flavors of orchard fruit, including white peach. ♦ Beautifully styled, this wine brings a solid blend of citrus, cucumber, tangerine and melon flavors. The length and balance are there for further aging, but the stunningly good flavors encourage near-term drinking. 92 points, Editors' Choice. ♦ About one-third was fermented in neutral oak, the rest in stainless steel, yielding a rich and smooth wine loaded with fresh flavors of pear and nectarine fruits. There's a tasty pie crust toastiness also, and the lingering finish has you reaching for the next sip. 91 points. ♦ This impressive mineral-driven Pinot Blanc wine begins with aromatics of ripe pears, cantaloupe, with suggestions or orange blossom. The palate shows wonderful texture. There are plush flavors of New York apple, honeydew melon and green papaya. The creamy finish lingers, as does the sparkling minerality. ♦ Light straw color in the glass. Delicate aromas of lemon curd and pastry cream. Demure flavors of citrus, peach, green apple and a hint of oak. Oregon does well with this grape and this is a fine example. Good. That would perhaps best be the Cantina Terlano-Kellerei Terlan "Vorberg" Pinot Bianco Alto Adige Riserva.